Through its Pastoral Study Project program (PSP), the Louisville Institute enables pastoral leaders to bracket daily work routines in order to pursue a pressing and significant question for the life of faith. Grants of up to $15,000 support independent or collaborative study projects – projects that privilege pastoral perspectives and rhythms and honor grassroots research conducted by skilled clergy. PSP grantees use a variety of platforms to share what they learn with a wider audience, extending their leadership in ways that benefit the broader church and culture in North America. Rev. Daniels said people caught up in the US criminal legal system are marginalized based on race, immigration status, economic class—and also because of their gender identity and sexual orientation. LGBTQ+/HIV+ individuals of all races and ethnicities are assaulted at higher rates than any other group. They also face more significant charges and receive longer sentences for the same charges than non-LGBTQ+/HIV+ individuals. “Many progressive faith communities are supportive of the LGBTQ+/HIV+ community—working for marriage equality, for second-parent adoption, for trans rights, for workplace rights and for healthcare equality. Many such communities have been equally supportive of prisoners—leading educational programs, assisting with re-entry programs, housing, employment, and offering community support,” Rev. Daniels said. “This grant is designed to help educate progressive faith communities to bridge the gap and support LGBTQ+/HIV+ prisoners of all faiths through providing transformative theological and worship space. 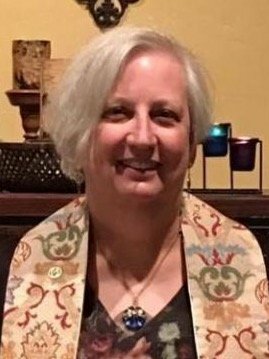 We will create ways to help faith communities of good will understand how to partner with LGBTQ+ people on the inside to spiritually support and encourage them, both while they are inside and as they re-integrate to the outside community,” Rev. Daniels said. Louisville Institute is funded by the Religion Division of Lilly Endowment and based at Louisville Presbyterian Seminary, Louisville, Kentucky. The Institute’s fundamental mission is to enrich the religious life of North American Christians and to encourage the revitalization of their institutions, by bringing together those who lead religious institutions with those who study them, so that the work of each might inform and strengthen the other. More information is available on their website at https://louisville-institute.org/awards/pastoral-study-project/.